Quick-Step Floors' Fernando Gaviria has become the first rider to wear the Yellow Jersey at the 2018 Tour de France after outsprinting Peter Sagan and Marcel Kittel at the finish line. The rider is the second Colombian to wear the Yellow jersey. "Today has been an incredible day for which we have worked very hard," he commented at the end of the day. "I dedicate this victory to each the members of my team, to each of the persons that are with us in this Tour because without them it would have been impossible for me to prepare this well, without them the sprint wouldn't have been this good. Thanks to them, today we took this victory." 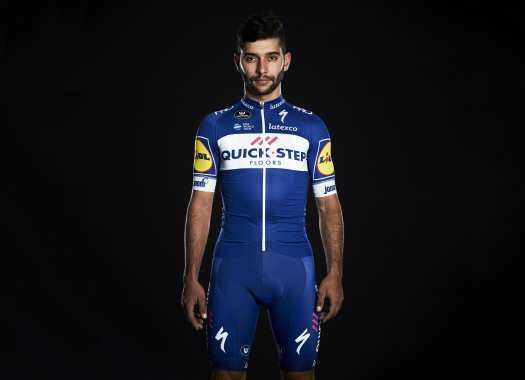 Gaviria and the team will not defend the jersey for as long as they can. "It is incredible to take the Yellow Jersey because it is a jersey that everybody wants to have and to have it today it's unbelievable, it is indescribable," he explained. "We are happy to have the jersey even if it's for only a couple of days, but we will try to keep it for as long as possible."